Hypersweep's community environment makes this site a particularly fun and dynamic place. 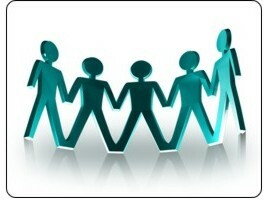 This is what allows all members to help and support each other in a common goal. Members can add sweepstakes to the database for the benefit of the community. This method of sharing means that every member of the community will have access to more sweepstakes than they would on their own. Members are not required to submit new sweepstakes, but the ones who do get additional entries into our special members only monthly drawing. Since members are rewarded for adding listings, there are always plenty of new sweepstakes for everyone to enter! Members can also leave feedback on any of the sweepstakes listings on the site. This allows members to warn each other of problems or concerns with a particular sweepstakes. Members can also share tips, or the answers to any trivia questions that may be required to enter a sweepstakes! Members can send each other private messages through the Message Center, and of course there's the Hypersweep forums. Here members can ask questions, share stories of their recent wins, warn about sweepstakes scams or discuss anything sweepstakes related. "I'm so happy I just felt I needed to tell you I am the proud winner of the skeeter boat from Busch Beer Sweepstakes. Its really for my husband, he couldn't want a better Fathers Day gift. I just wanted to thank you for the best sweepstakes site on the internet. Thank You"